After I took pictures of the house on fire from the roof of our house, I went downstairs and took pictures of Tina the scorpion and its "house". 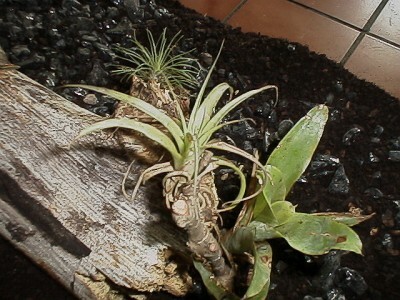 I think tillandsia is a good choice for a terrarium plant. It is quite small, grows slowly, and looks attractive. 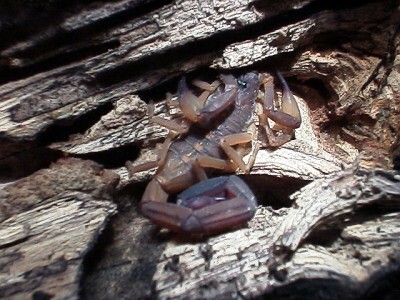 Taking pictures of Tina was more difficult, since the scorpion is nocturnal, and hence doesn't like bright light. It walked around all the time, looking for a good place to hide. 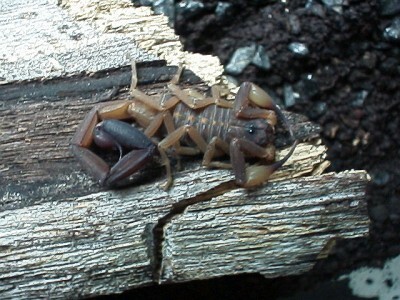 I held the piece of wood upright, so the scorpion couldn't hide underneath. 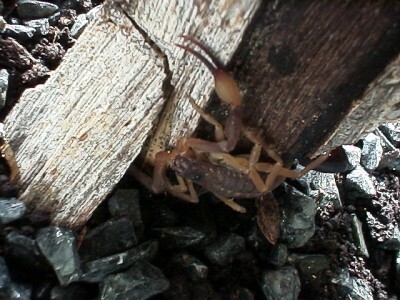 It is quite difficult to keep the camera steady when a scorpion is running on the wood you are holding. I really didn't want to find out how much a sting hurts. Although I decided to call the scorpion Tina, last Saturday, I have no idea if it's a he or a she.